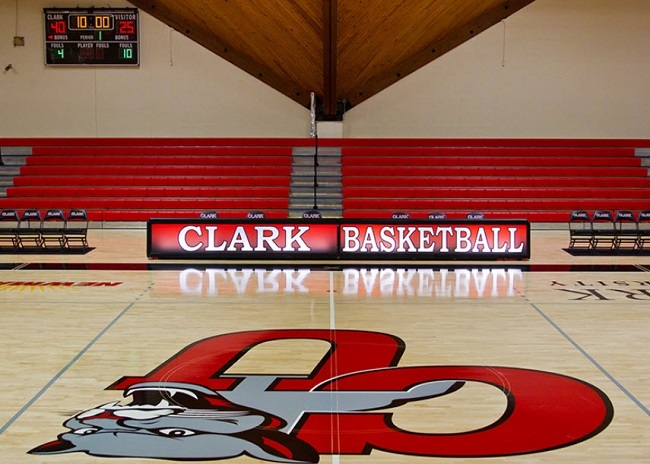 Camp will take place at Clark University, on the Hurst Courts within the Kneller Athletics Center. Take Massachusetts Turnpike I-90 To Exit 10A Route 146 North. Take 146 North until it ends underneath the 290 overpass. Take a left onto Cambridge Street and continue for a few miles to the fourth set of lights where you turn right onto Main Street at Webster Square. At the first light, turn left onto Maywood Street. At the first stop sign take a right onto Florence Street. At the next stop sign take a right onto Downing Street. Downing Street leads you into The Kneller Athletic Center parking garage. I-495 South to I-290 West, Exit 25B. From I-290 West take Exit 11 (College Square, Southbridge Street). Bear left coming off the ramp onto Southbridge Street. Continue straight ahead on Southbridge Street to the second stop light and take a sharp left onto Cambridge Street. At the third light – a few miles – turn right onto Main Street at Webster Square. At the first light, turn left onto Maywood Street. At the first stop sign take a right onto Florence Street. At the next stop sign take a right onto Downing Street. Downing Street leads you into the The Kneller Athletic Center parking garage. I-495 North to Massachusetts Turnpike I-90. Take Exit 10A Route 146 North off of I-90. Take 146 North until it ends underneath the 290 overpass. Take a left onto Cambridge Street and continue for a few miles to the fourth set of lights where you turn right onto Main Street at Webster Square. At the first light, turn left onto Maywood Street. At the first stop sign take a right onto Florence Street. At the next stop sign take a right onto Downing Street. Downing Street leads you into The Kneller Athletic Center parking garage. Take Route 146 North until it ends underneath the 290 overpass. Take a left onto Cambridge Street. At the fourth light – a few miles – turn right onto Main Street at Webster Square. At the first light, turn left onto Maywood Street. At the first stop sign take a right onto Florence Street. At the next stop sign take a right onto Downing Street. Downing Street leads you into the The Kneller Athletic Center parking garage.